There's something about a pile of lentils topped with spicy Chorizo sausage that triggers something in the savoury part of my brain that says "you're in for a treat". The sweet part of my brain doesn't have the slightest interest in lentils and sausage. 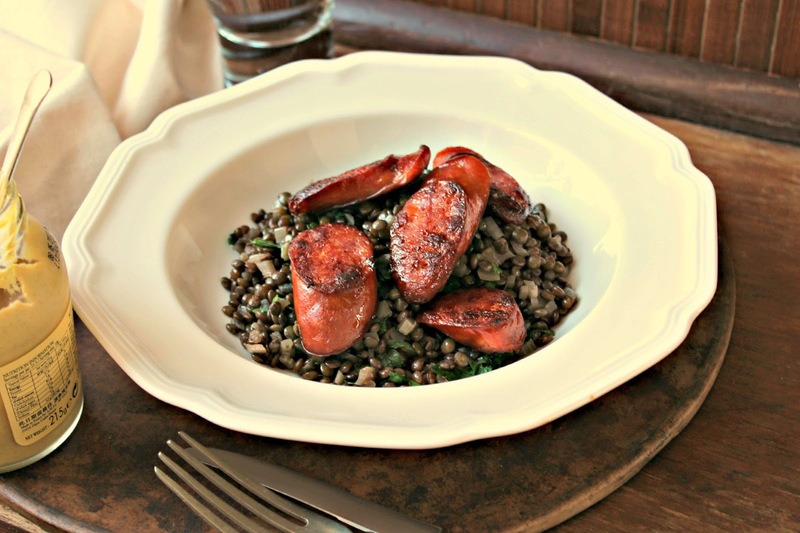 There are times when savoury is a little sweet and sweet is a little savoury, but lentils and sausage are purely for the salt-loving, spice-seeking recesses of my grey matter. It's all good though. While my sweet brain powers-down during lentil and sausage time, my savoury brain gets to take a nap while I eat a big ol' slice of Banana Cake with Caramel Sauce later. That's a fair deal, right? 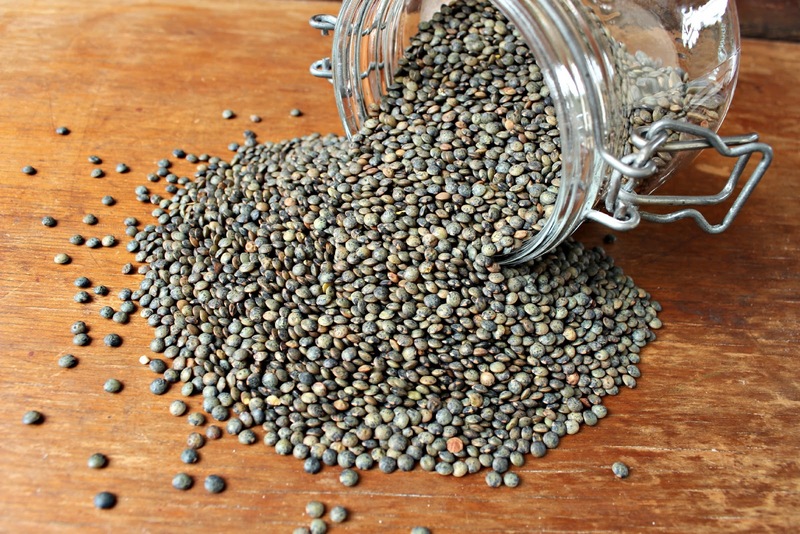 Place lentils in a pot with celery, onion, garlic, lemon zest, 2 tablespoons olive oil and 4 cups water. Simmer uncovered until lentils are just tender and liquid has all but evaporated (15-20 minutes). If the lentils are tender and there is still liquid in the pot, turn up the heat and watch closely until all liquid has evaporated. Remove from heat, season to taste with salt and ground black pepper and stir in vinegar and parsley. Cut the Chorizo into 1cm thick slices on the diagonal. Heat a frying pan on medium. Add the last tablespoon of olive oil and then the Chorizo. 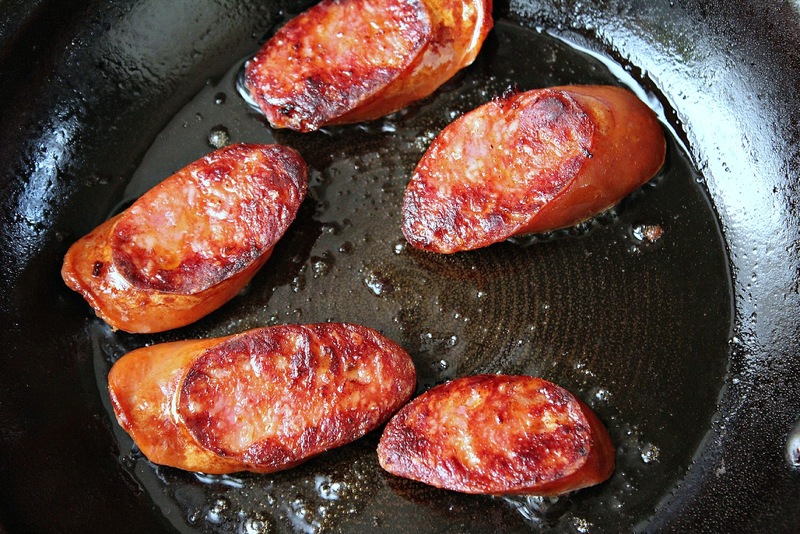 Cook the Chorizo unil it is golden and crisp on each side. 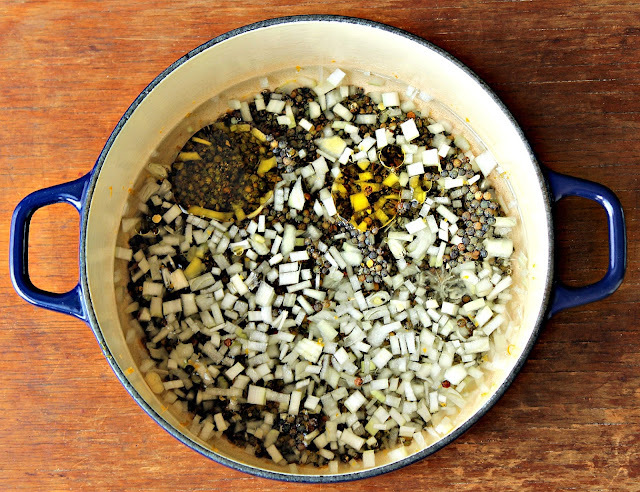 Spoon the lentils evenly into 4 bowls, top with fried Chorizo. Drizzle with extra olive oil. I've been wanted to make this dish since a long time but I always forget. We don't eat a lot of lentils at home so that's maybe why. Your plate looks fabulous :) It's look delicouuuss! You are so funny! I look forward to seeing what you come up with next. 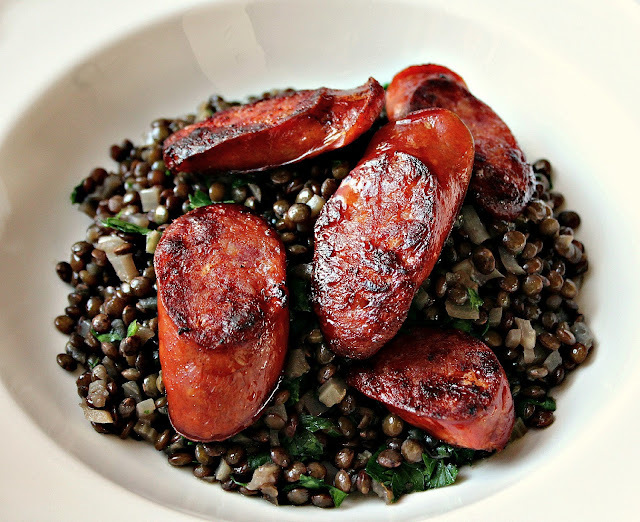 This looks yummy too...I've only ever had chorizo in mexican dishes, I bet it's a huge compliment to the lentils! I'm sorry for my absence on Flickr. I think I'm going to take a little break from there, but will be checking your yummy blog every day for new treats! Hugs to you my down under sister, lol! Hey Leah. I used Spanish Chorizo sausage in this dish. I love Chorizo. I don't care what nationality they are LOL. It looks so fantastic! I like all meal ingredients , but sausages look mmmmmmmmmmmmmm. Thanks Vera. Spicy sausages are one of lifes treats. 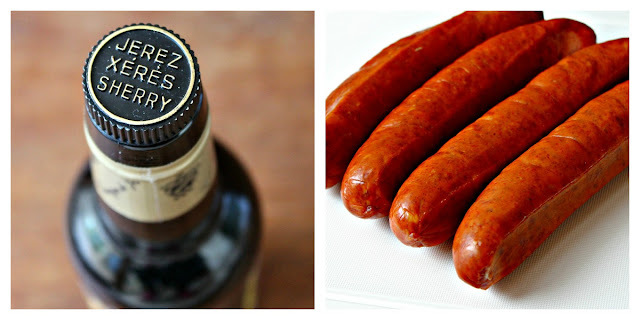 You just can´t go wrong with chorizo, can you? Looks great. I love chorizo!!! Last year I have stayed in Argentina, is like the capital of the chorizo. They have plenty of that. A lot of variety. I have stayed in an apartment of 4rent Argentina in Las Canitas, Buenos Aires and there where a lot of "parrillas" over there. Great meat.